Last Updated: May 5, 2006 New (smaller) higher-quality thumbs, and higher-resolution pics after clicking. 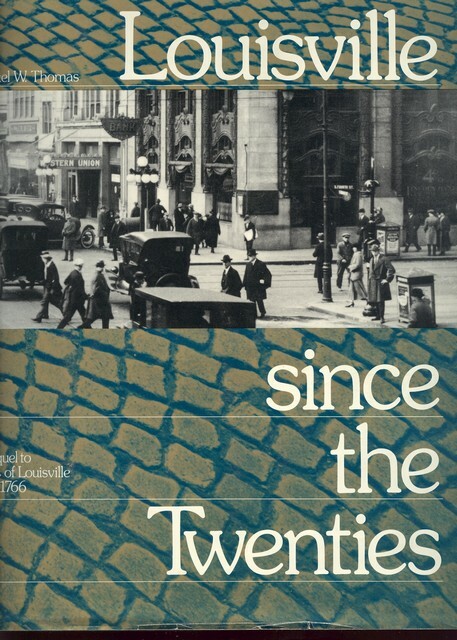 I found this in a Louisville history book I have titled: "Louisville Since The Twenties" by Samuel W. Thomas, published by The Courier Journal, 1978, page 220-221. 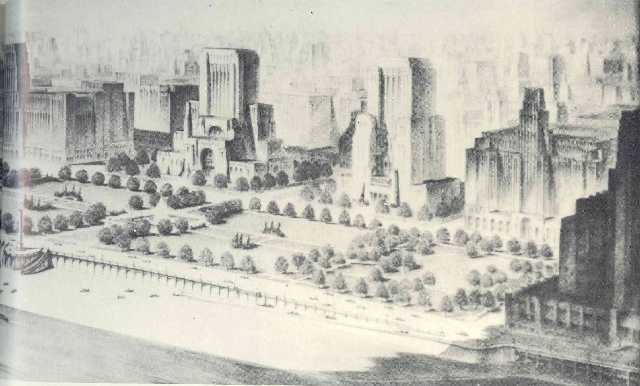 "The Bartholomew plan of 1931 envisioned 35 miles of riverfront drives linking recreational areas, keystoned by an open plaza between Third and Seventh. The Illinios Central tracks were to run beneath an elevated highway and to be protected by a floodwall. The government center was to be built south of Main between Fourth and Sixth overlooking the landscaped plaza. 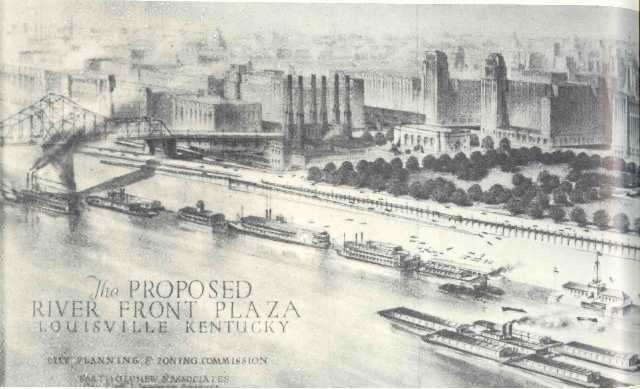 Parking for 4,000 cars was planned under the plaza. The fountain shown on the wharf was at the foot of Fifth St. The cost of the development was estimated at $10 million by Harland Bartholomew and Associates, St. Louis." "Rendering dated 4/1/1931, courtesy of Carl Berg"
Take a look at all the fantastic Art Deco style buildings! You can plainly see the Deco style of set-backs, vertical lines and limestone facades. Classic Deco Style!